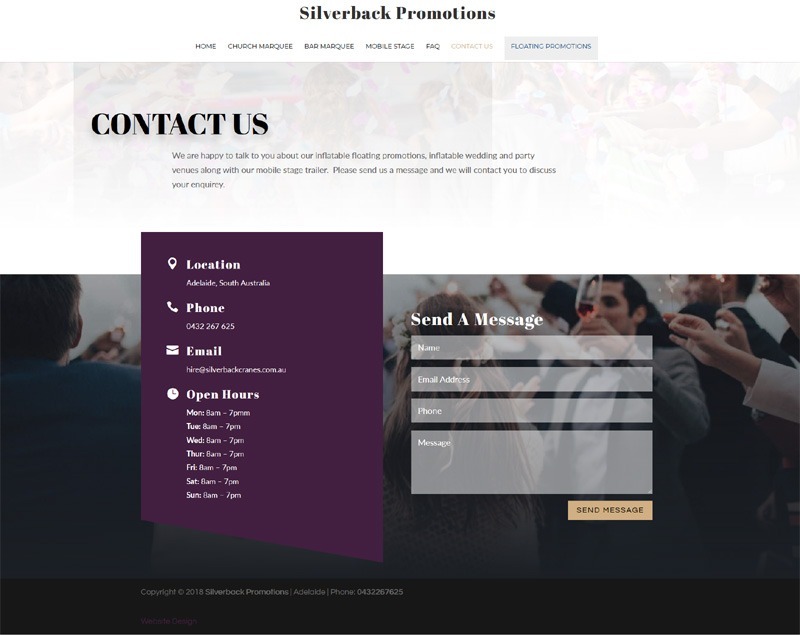 David from Silverback promotions had a fantastic new business concept and wanted a website to help him launch to the market. 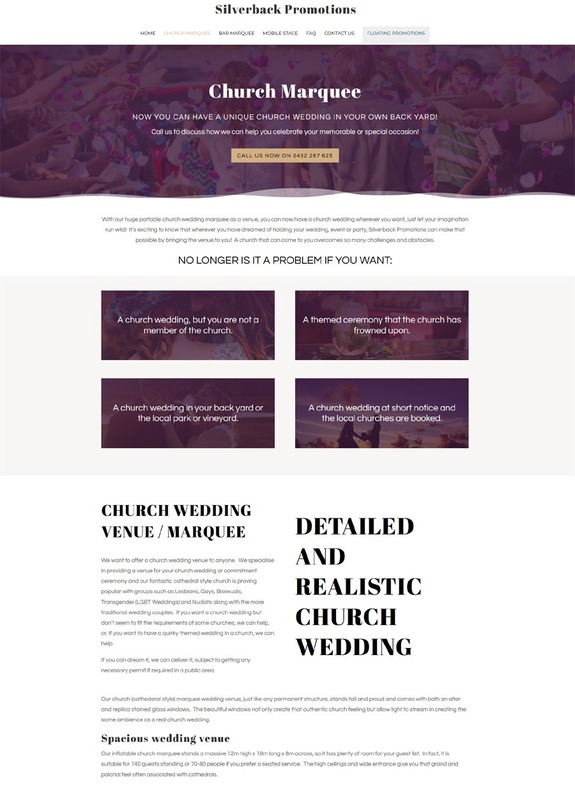 He was busy managing his existing business and just needed someone to pick the marketing side of things to get the website up and running. To save time and stress David chose the ‘Done For Me’ website package. 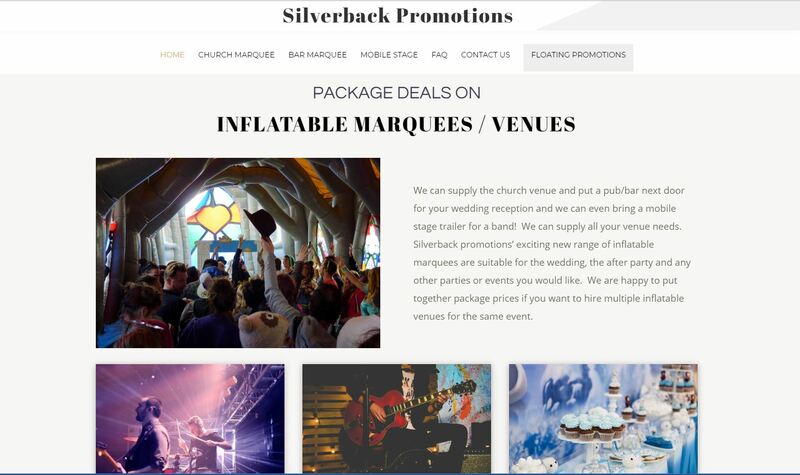 Davids big new idea was inflatable churches and pubs and floating promotional bill boards. We recruited Colette Chorley Creative Content and Marketing to help position Davids offering in the marketplace. 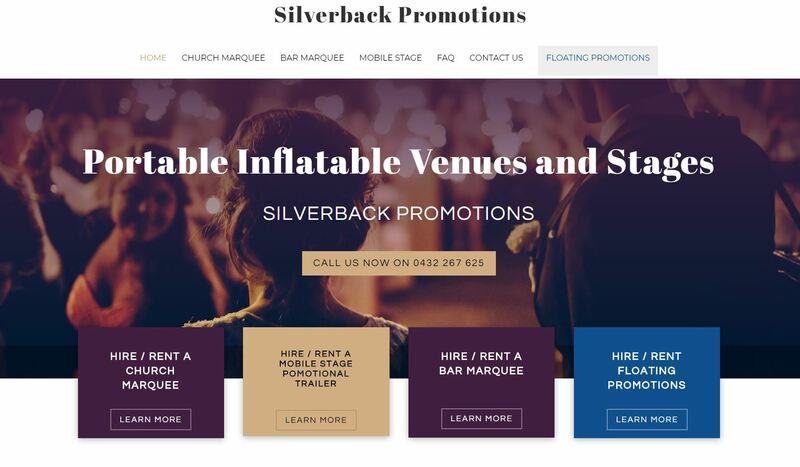 She developed a great website sitemap and all of the content for the pages, positioning the inflatables as portable wedding / function / party / promotional venues for hire in Adelaide. The inflatable billboards which are to be towed behind boats were positioned as mobile billboard advertising. The design was easy and great fun to work with as David was happy with our concept and by positioning the inflatables as portable venues, similar to marquees, the concept was better understood by the market.